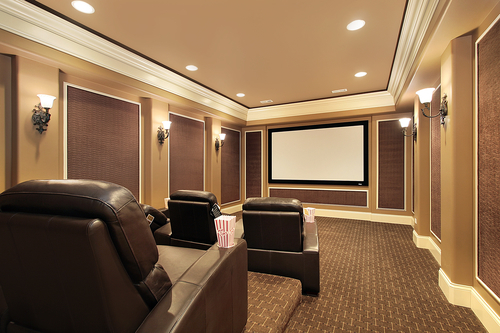 Wouldn’t you love to catch a great movie, snuggled up all cozy in the comfort of your home? Or do you wish to build a man cave with a fantastic sound system in a separate room or space? Do you want custom furniture to upgrade your current decor? Either way, you need great custom media furniture to make the most of all. Compare customized furniture to creating a bespoke tailored suit instead of buying a generic piece off the rack. While the rack one still works, you cannot compare it to the right fit, finish, and style of the tailor-made piece designed and delivered for you. That’s the beauty of custom media furniture, you have the needs and there is a design waiting to happen for you. One of the most overlooked pieces of custom furniture is uniquely-designed audio furniture. Audio furniture is often described as audiophile furniture. This furniture is developed to deliver the most powerful, crisp, and clean sound for your space. It often conceals wires, speakers, and more to give your room or space the best finished look. Are you a first-timer? Are you testing the waters to see if custom media furniture is right for you? Most first-timers worry about aspects of building unique furniture for homes or businesses. They’re concerned about how long it will take to build or if it will be very expensive and things of that nature. Building custom furniture for your library or living area is not that overwhelming. Whether it is a library, television port, or home theatre, custom media furniture builders plan and execute in a way that is convenient and comfortable for you. They design and build within your budget. If you are wondering about the benefits of custom media furniture, then let us take a quick look. Apart from making the area clutter free, custom furniture is useful not just for media, but storage for mementos and books. It enhances your sound system to give you a great listening and viewing experience from your other devices, too. Just as a fireplace brings the room together in focus, custom media furniture does just that, and more. It warms up your room and makes sure it’s the focal point. Did you know? Custom media furniture is not as expensive as you may assume. If you compare the prices of just the pieces you want in your home to the rack versions, the prices are different. With custom media, you pay for only what you need. You don’t have to buy the large piece of equipment and squeeze it in your small home. Even if you have a small budget, the cost will depend on designs you choose. Custom media furniture works best when it reverberates with the architecture and the style of your home. You can match the base and the crown of the house to that of your media cabinets. You can also incorporate details such as fluted pilaster and arches if that’s what it takes for the media furniture to be one with your old or contemporary home. The goal, though, is to give you an organized space for your modern gadgets and devices, with a unified look and a cohesive aesthetic. Is a project too small or too large for custom media furniture? It’s simple. For custom media furniture, the size doesn’t matter. Whether it is a single wall-mounted desk for your home office or you want to mesh your library, television, and video game paraphernalia together to save space. No order is too small or too large for audiophile furniture. You can always combine unique pieces together instead of picking up a generic design of a product line that delivers less on the promise. Can custom media furniture get me a return on investment? There is no doubt custom media furniture adds value to your home. You may want to sell your home in a few years, but when you have unique media furniture that rings right in all the right places – the look, the feel, the storage, the sound – everything adds up. It is always exciting to see an investment such as custom media furniture is profitable in so many ways. We live in modern times where innovative computer technologies influence life at home too. With custom media furniture you can personalize your home with modern technology that meshes with art and create something truly unique to your style and personality for the perfect home decor.